I hope everyone had a great holiday weekend. I know we did – it was great to unplug and enjoy some quality time with my husband. Now that it’s the last week of the year, it’s time to start looking towards the new year though. 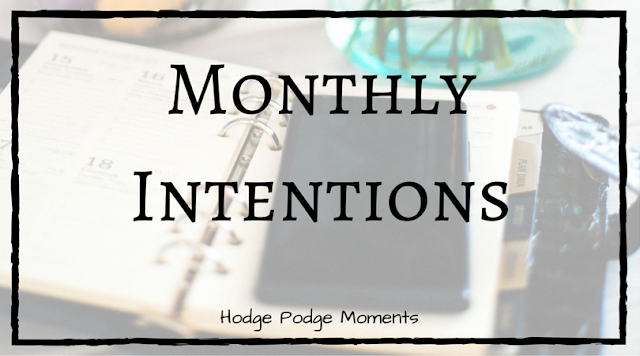 That’s why I’m finally revealing all of the details of Monthly Intentions, which I mentioned briefly in my post about Blog Intentions. If you missed that post, I suggest stopping by and checking out the details for my newest series. I’m sure you may have seen something about picking a word to guide your year. I’m not entirely sure where this concept originated from, but it has grown a lot in the past couple of years. I was thinking about my word for 2015 (change) and was trying to figure out a word for 2016 when a thought came to me – why do we pick our words for an entire year? A year is a substantial amount of time when lots of things can happen and paths can change a lot. Essentially, “change” could be my word every year and that would make it much less meaningful. In November, I decided to see how a word of the month would work. 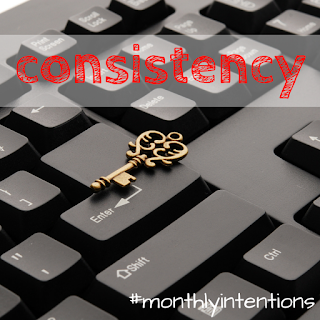 I picked the word “consistency” for December and shaped my goals around it. It worked so well for me that I wanted to bring the process I used to you complete with a printable and a link up on January 1! I’m going to start by sharing the printable with you. This month, you can get an easy to print PDF of the January printable by clicking on the image below. Future months will be sent to Blog Intentions subscribers so please make sure you’ve signed up to receive the weekly emails! Not a blogger but still want to get the free printables? Sign up for the blog newsletter in the sidebar! I’ll be sending the printables out to that email list as well! Start by deciding on your word for the month. Write this word in the “intention” box. Feel free to decorate it – you’ll be looking at it a lot this month! Next, you’ll need to define your word. What steps and tasks will you take to stay in line with your word? I’ve designed the printable to have four spots for this step because I figure you can break down your month and create a mini goal for each week in the month. The last part of the printable are for those “extra” goals – the ones that don’t quite fit in with your word but might be important for the month. Here’s how my list looked for December. I didn’t have a fancy printable so I’ll just share it in text format for you. 1. Post everyday on Hodge Podge Moments. 2. Post every weekday on The Coastie Couple. 3. Send a daily newsletter for Holiday Moments. 1. Make a plan for 2016. 2. Find a team for Blogger PJ Party & Bloggy Brunch. 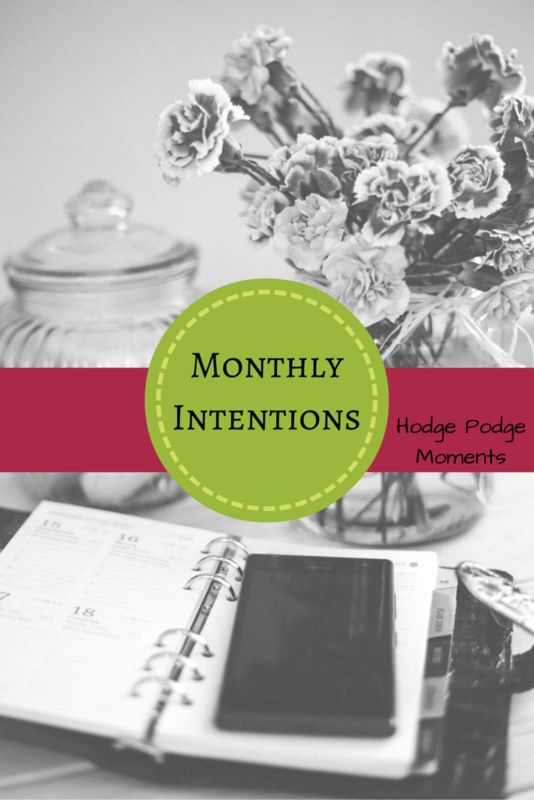 I hope you’ll join me on January 1 in setting your monthly intention and goals for the month. I’ll be hosting a link up right here on the blog on the first of every month! 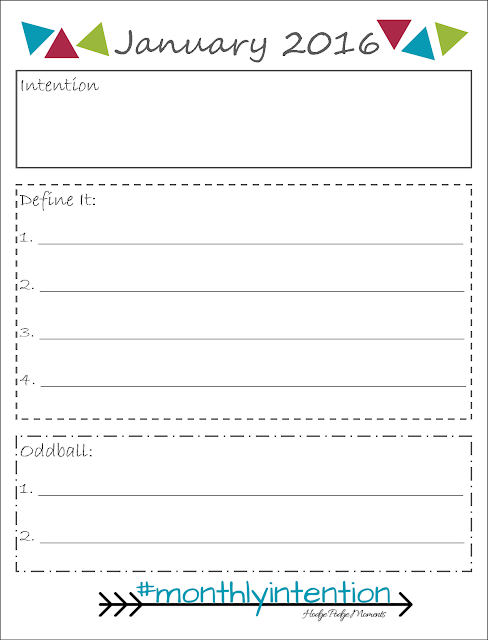 Don’t forget to sign up for Blog Intentions so that you can get the free printable and reminder for each month. I’m off to finish working on those December goals! What are you most looking forward to in 2016?